Unique Moments photography from Gig Harbor Washington captured this image while the bride was getting ready. The note came attached with some flowers from Mom. 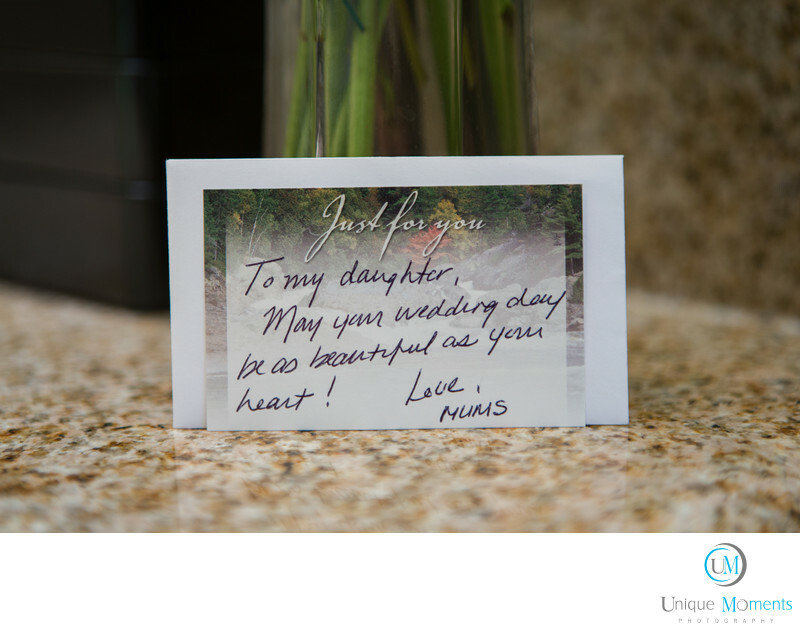 Often times its the little things like a note from Mums that have the most meaning to your clients. You never know whats going to hit the mark. Details are important. We want to capture details that tell a story. This detail image said it all. Location: 31720 Gateway Center Blvd S, Federal Way, WA 98003.